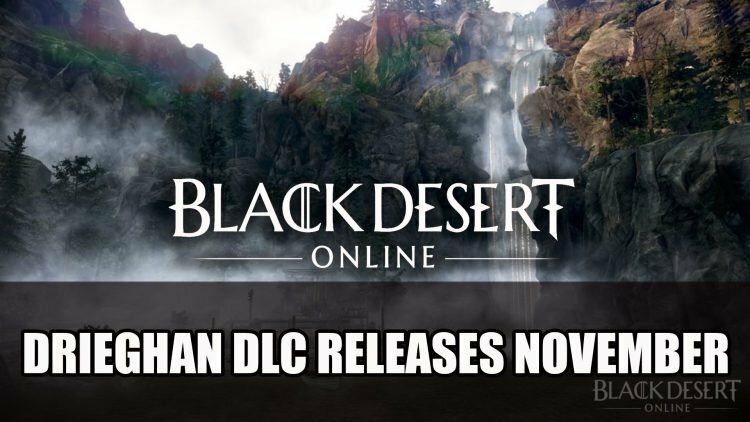 Kakao Games and developer Pearl Abyss of Black Desert Online announce the release date for upcoming expansion Drieghan for the MMORPG on November 14th, 2018. Drieghan, also known as the land of dragons and the ancestral home of dwarves is a huge new mountainous area in Black Desert Online offering new story content, quests and challenges. Adventurers will be able to travel to Duvencrune, the capital of Drieghan which shows a variety of environments of an alpine region. New monster areas such as ‘Sherekhan’s Grave’, ‘Blood Wolf Town’, ‘Tshira Ruins’ will be released as well as the new dragon world boss, Garmoth, the Crimson Dragon. Players can also look forward to the Dragon Slayer, a brand new powerful craftable weapon which nearly matches the “Dandelion” weapon. If you enjoyed this article be sure to check out Black Desert Online Comes To Xbox One Beta Fall 2018 and Black Desert Remastered Trailer Shows Off New Graphics; Free Horse Coming Next Week.